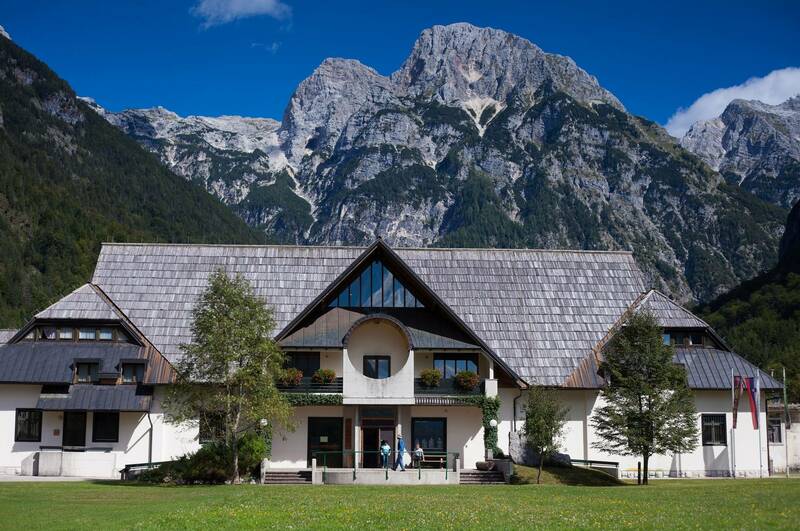 From the high peaks around Kranjska Gora, to the vineyards of Brda ,through the emerald valley of Soča river and the Triglav National Park. 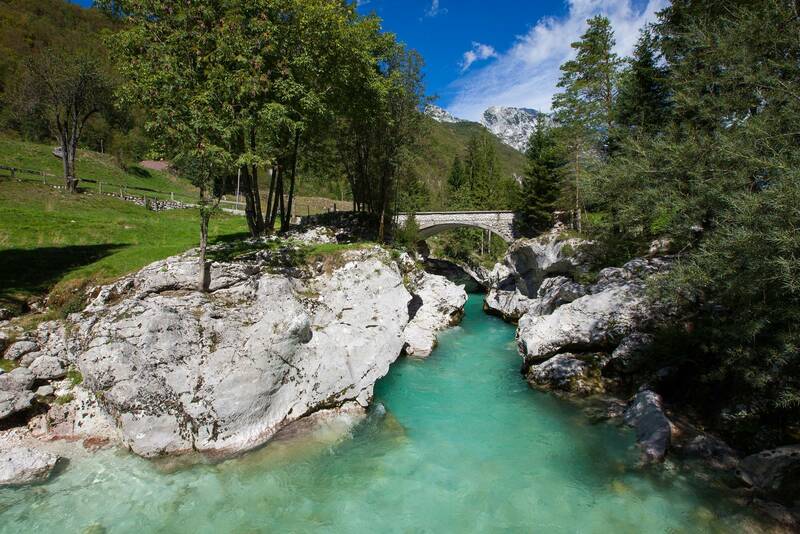 The itinerary crosses the boarder between Slovenia and Italy to finish at the town of Cividale del Friuli. 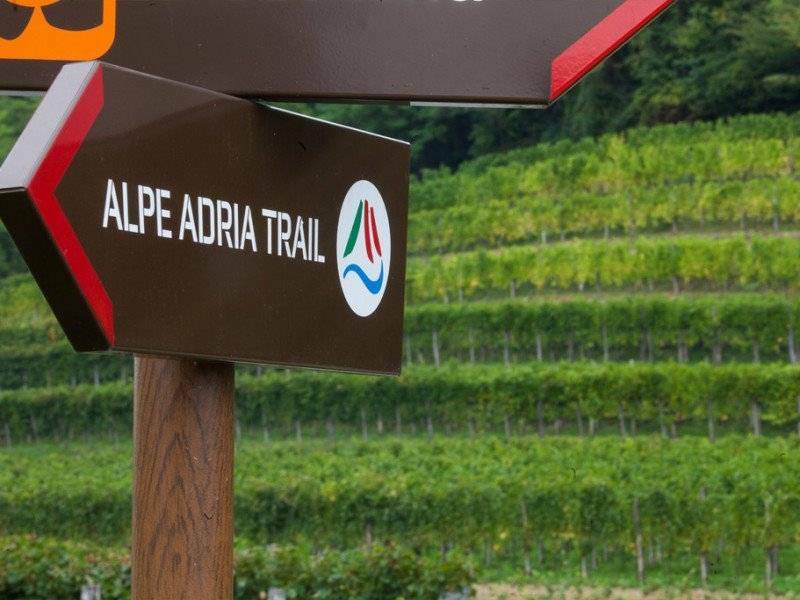 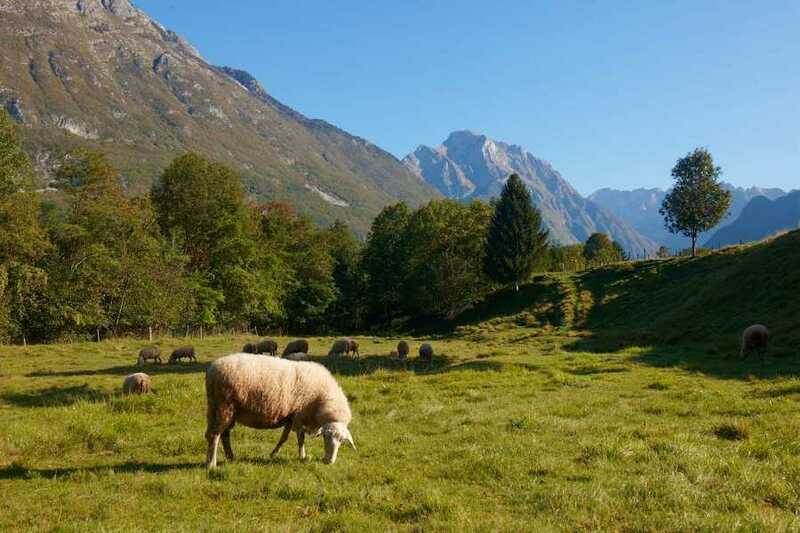 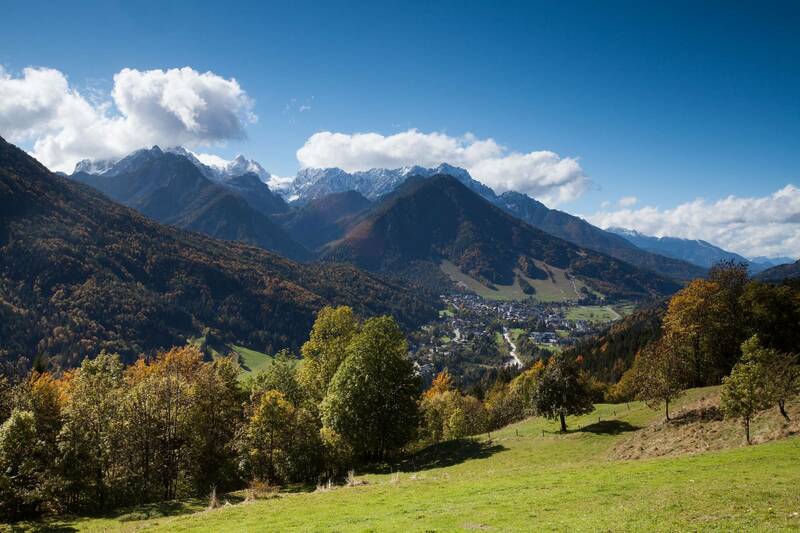 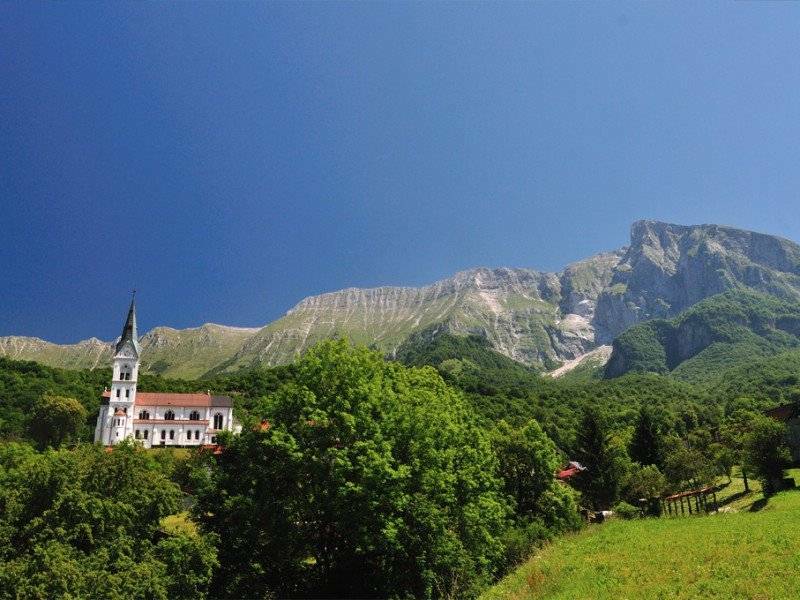 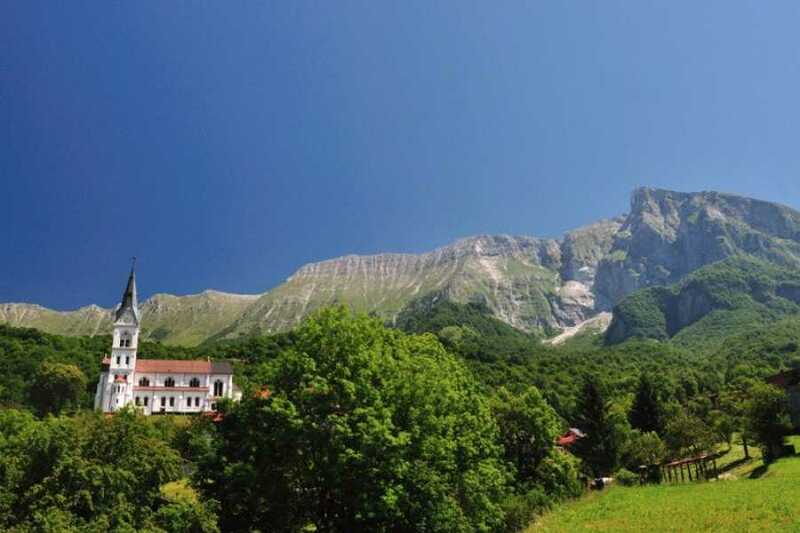 Optional Tour with a qualified mountain guide includes the scenic stages 23, 24 ,25 ,26, 27,28 of the Alpe Adria Trail. This stage leads via the Vrsic Pass, the highest mountain pass in the Julian Alps. 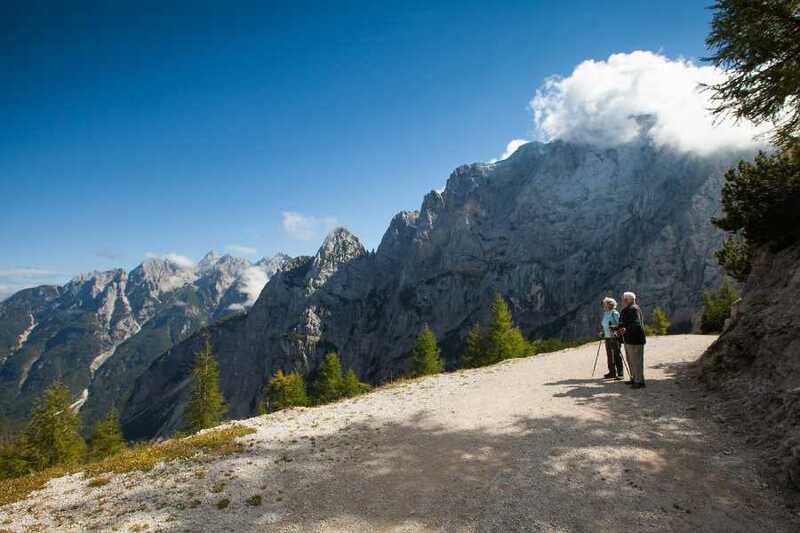 Hikers can enjoy the picturesque view of the stunning north faces of the highest peaks. 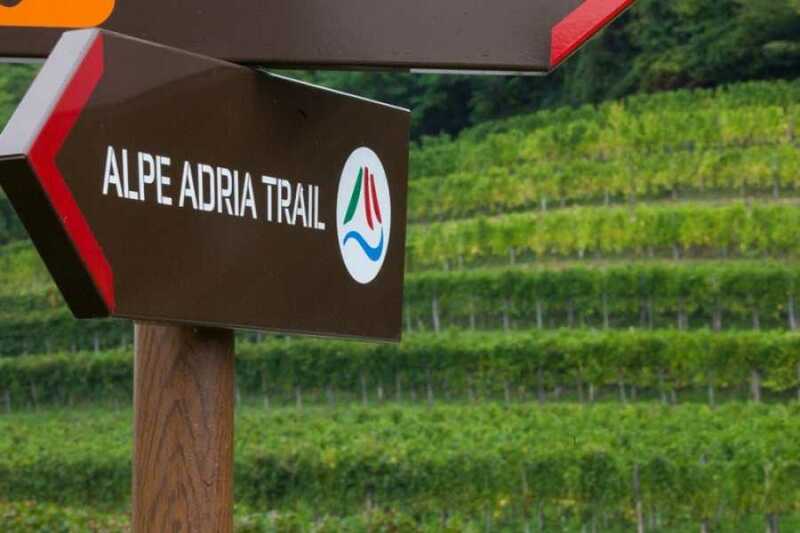 Difficulty: moderate, distance: 17.8 km, ascent: 962 m, descent: 1146 m, duration: 6:30 h.
This stage takes you along the marked and well tended Soca Trail. 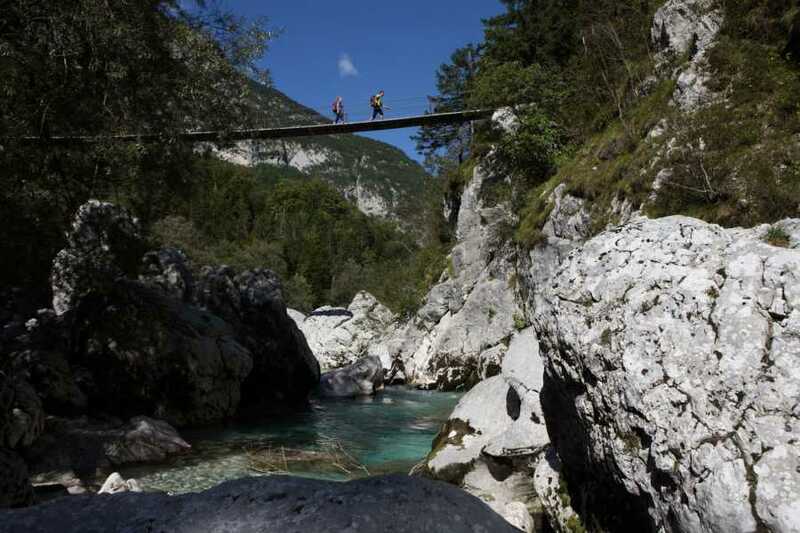 At the bridge over the Soca near Krsovec, which is close to the Triglav National Park, your route continues towards Jablance and Bovec. Difficulty: moderate, distance: 20,9 km, ascent: 571 m, descent: 736 m, duration: 6:00 h.
A large part of this picturesque stage runs along the left bank of the River Soca, before turning away from the river towards the end of this stage. 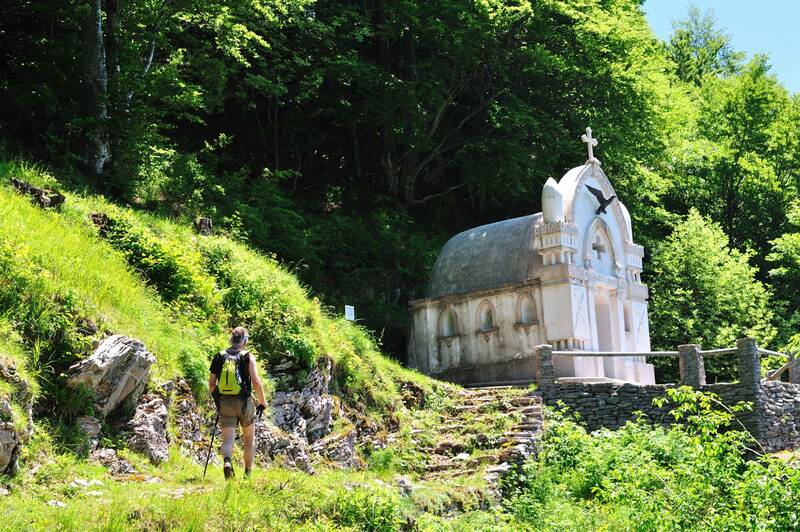 The route then leads up to the delightful village of Dreznica near Kobarid. 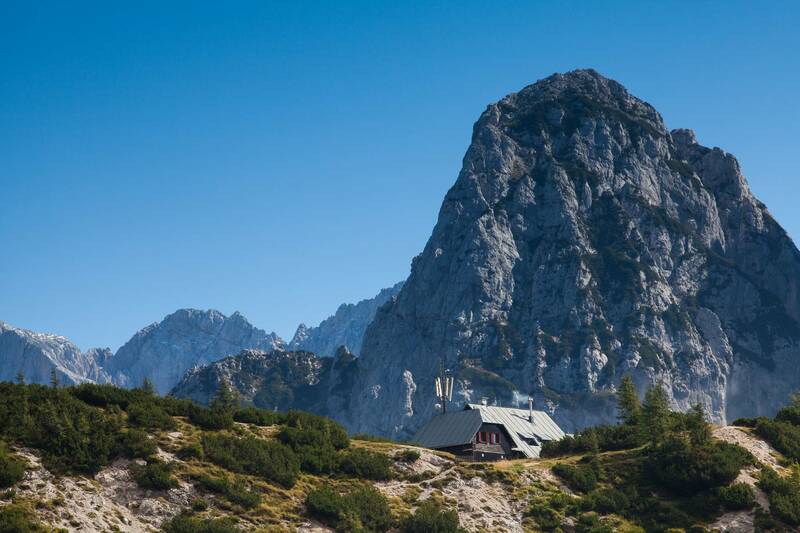 Difficulty: moderate, distance: 25.2 km, ascent: 1176 m, descent: 1105 m, duration: 6:30 h.
This stage is steeped in history – on former military paths and across the Alpine meadows of the Triglav National Park – and combines memories of the First World War with the traditional way of life of the inhabitants of this region. 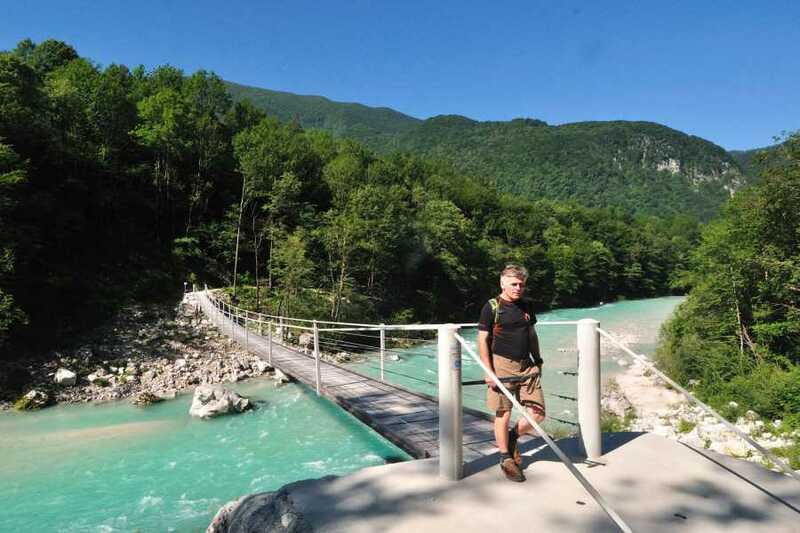 At the end of this stretch, the route descends again to the River Soca, before reaching the town of Tolmin in the evening. Difficulty: difficult, distance: 18.3 km, ascent: 837 m, descent: 1182 m, duration: 6:30 h.
On this “peace stage” you will cross the border between Slovenia and Italy. Your route takes you past valleys, rolling hills, an open air museum and a castle, and you will walk on paths which have written history. 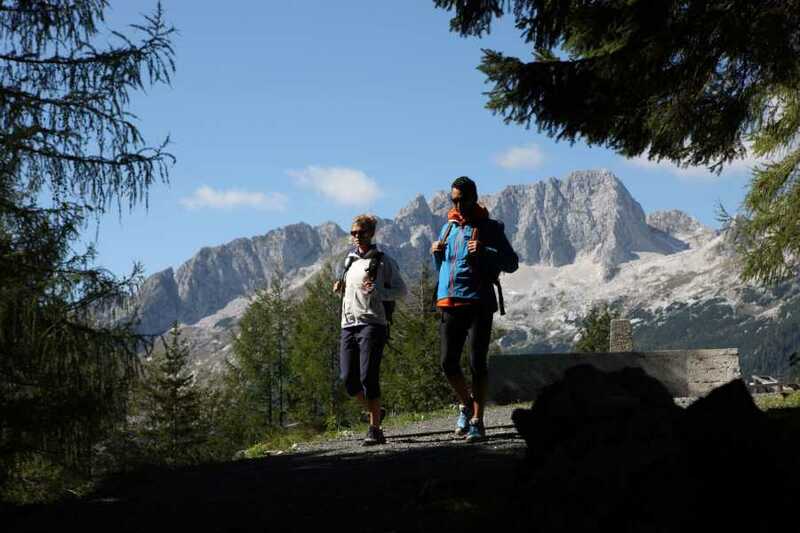 Difficulty: moderate, distance: 18.6 km, ascent: 1550 m, descent: 1119 m, duration: 6:00 h.